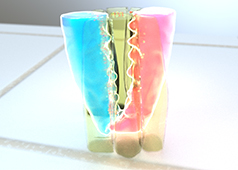 Numerous motor proteins exist and each possess unique characteristics that allow them to facilitate different processes and functions. 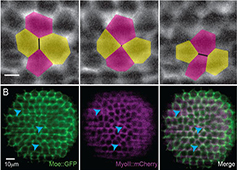 Even within the myosin superfamily variation exists in structure and function of each member. 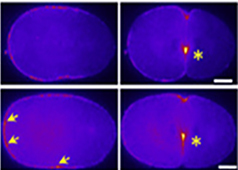 Not only can motor proteins translocate along microfilaments, but they can induce movement in the filament itself. It is this property that gives rise to the contractile properties of skeletal muscle. 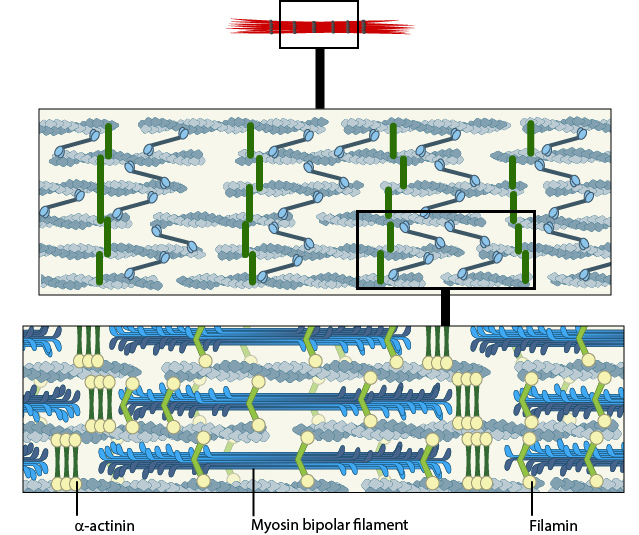 In skeletal muscle cells, myosin II forms only thick filaments that are arranged within a scaffold of actin thin filaments (along with numerous other proteins). These form the higher order fibrous structures known as sarcomeres. 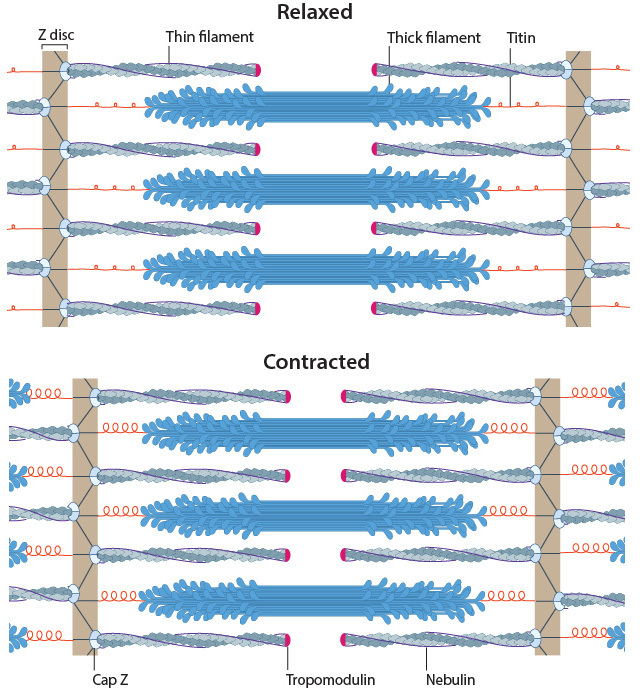 Each sarcomere contains numerous repeating units of interlinked thick and thin filaments, and the opposite orientation of the myosin heads causes adjacent actin filaments to slide past each other during muscle contraction. Each sarcomere is ~2 µm long in resting muscle, but this length is shortened by as much as 70% after muscle contraction. Muscle contraction is regulated by calcium levels  and by the troponin regulatory system. 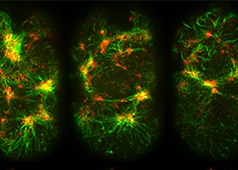 Although actin subunits continue to turn-over at both ends of the thin filament, this exchange is relatively slow, making the actin filaments in sarcomeres relatively more stable when compared to the actin filaments found in other cell types. In non-muscle cells, myosin II associates with actin filaments to form contractile structures known as stress fibers along the lower surfaces where the cell is anchored to its substrate. In epithelial cells, contractile bundles are also prominent in the adhesion belt (aka adherens belt), which helps to maintain the stability and integrity of epithelial cell sheets. The contractile bundles in nonmuscle cells are similar to skeletal muscle fibers, but they are smaller (~0.4 µm in fibroblasts), less organized, and they contain different accessory proteins . A. Isolated stress fibers have a banded appearance, with bundles of actin filaments interspersed with semiperiodic electron-dense regions. B. 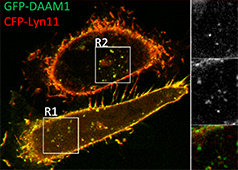 The electron-dense regions are rich in actin crosslinking proteins, namely α-actinin. Bipolar myosin II filaments lie between the loosely packed actin filaments in the regions that lack α-actinin . C. A high resolution view of the bipolar myosin filament heads interspersed between the regions rich in α-actinin. Relative to α-actinin, the more flexible actin crosslinking protein, filamin, is dispersed throughout the entire stress fiber. 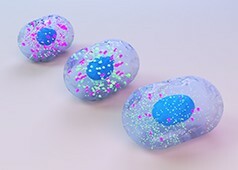 Historically speaking, the mechanism of actomyosin contraction for nonmuscle actin was examined using amoebae proteins Dictyostelium, Acanthamoeba) because the actin is very similar to muscle actin ; these initial studies showed the rate of ATP hydrolysis by myosin (and hence myosin movement) varies directly with the actin concentration . Further studies using isolated stress fibers from fibroblasts confirmed that stress fibers are contractile and shorten by as much as 25% . 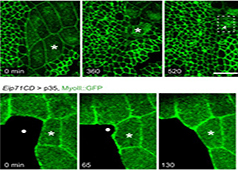 Myosin II bundle formation and contractile activity in nonmuscle cells is regulated by phosphorylation . 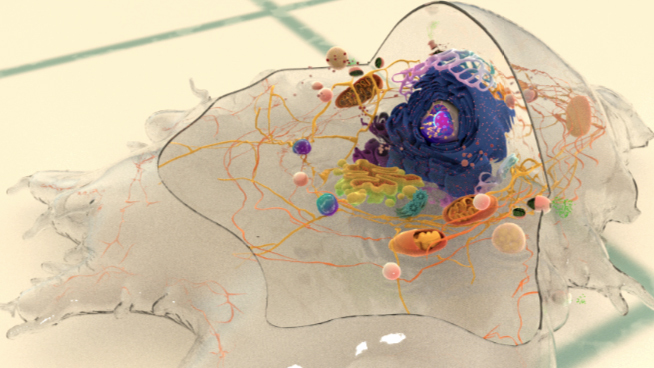 How does the contractome protein network regulate actomyosin contractility?